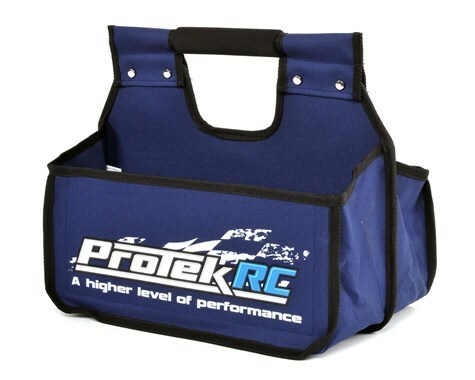 This is the ProTek R/C Pit Caddy. Preparation is one of the most important aspects of a successful 1/8 scale race program. To reach the top of the podium, you need to spend countless hours getting ready for battle. With all the time and effort invested, when its time to take the stand the last thing you want is to need an important item, only to find that it was left at your pit table. Keeping these critical items accessible to your pit man, can be the difference between making the podium, or going home early. 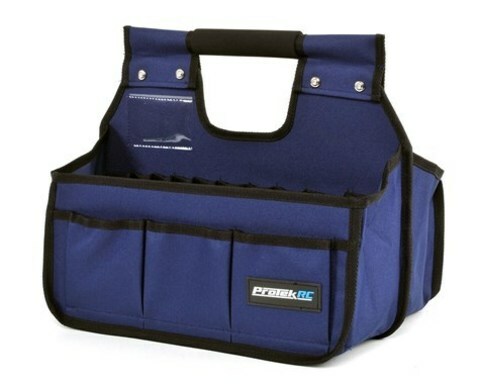 ProTek R/C understands that being prepared is a major key for success, and a Pit Caddy is an item that will help keep you prepared for anything. When it comes to high quality products that are backed by incredible customer support, ProTek R/C has you covered with the products you need to keep your rig race ready, no matter what. So grab a ProTek R/C pit caddy, and have what you need, where its needed, when you need it. Two halves, each measuring 15 x 4-1/2"